Horses like Amee come to our sanctuary starved and abused to the brink of death… but you can help us give them the safety, care, and love they have been waiting for. If you reside outside of the U.S., please donate using PayPal at step 3. To give by phone please call 409-935-0277. Or, to donate by mail, download this form. After clicking Donate Now button You will be redirected to PayPal where you will be able to complete your transaction. 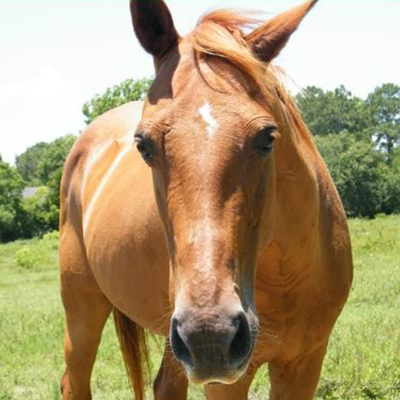 Habitat for Horses, Inc is a non-profit 501(c)(3) organization.